Martin and Sylvia can’t seem to stop picking at each other, in the Martin & Sylvia: Saturdays! story, “Picky Day.” So Momma sends them out to do more picking: flower picking! Their charge is to create a wildflower braid that’s long enough to decorate the berry crumble that Momma has made. If you can do a basic braid, you can make a wildflower braid too! Pick flowers with long stems. 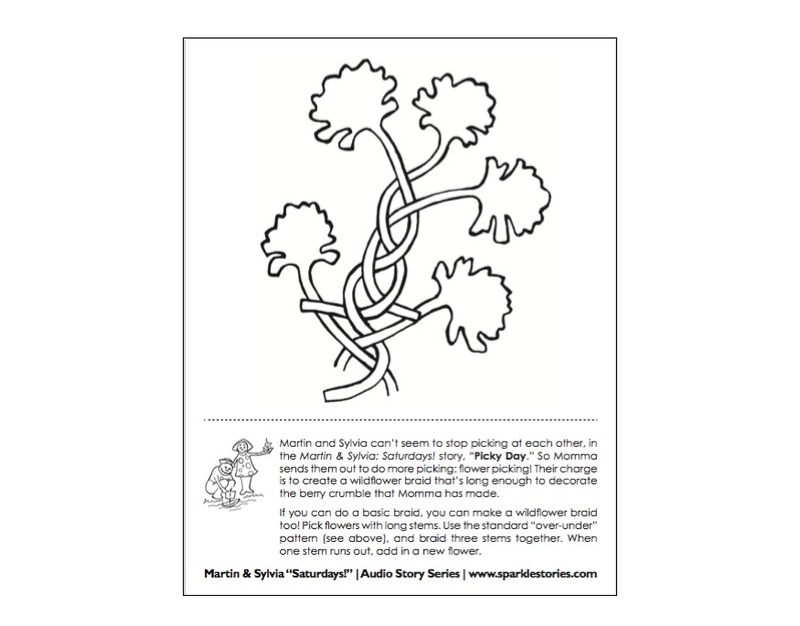 Use the standard “over-under” pattern (see above), and braid three stems together. When one stem runs out, add in a new flower.